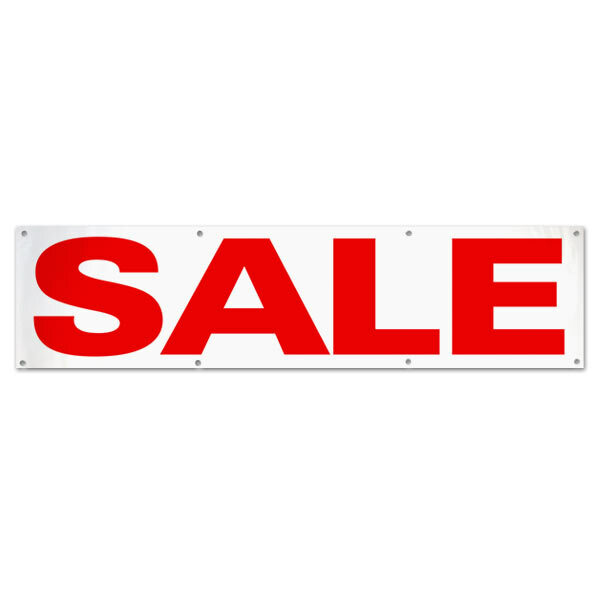 Order a Sale banner and hang it in your storefront window to lure in potential customers. 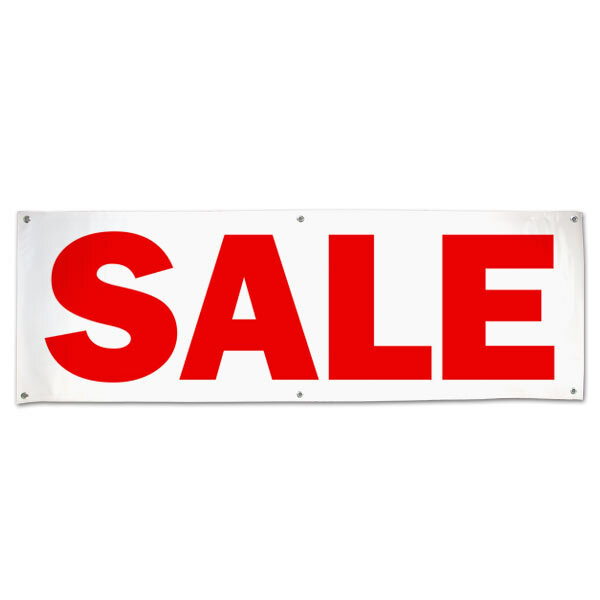 Whether you own your own clothing shop or sell specialty goods, our Sale banner is a must for boosting business. Moreover, our banners are made from heavy duty vinyl so they can be displayed indoors or outdoors to grab the most attention! Select from three sizes, place your order, and wait for its arrival at your door! There's no customization process. 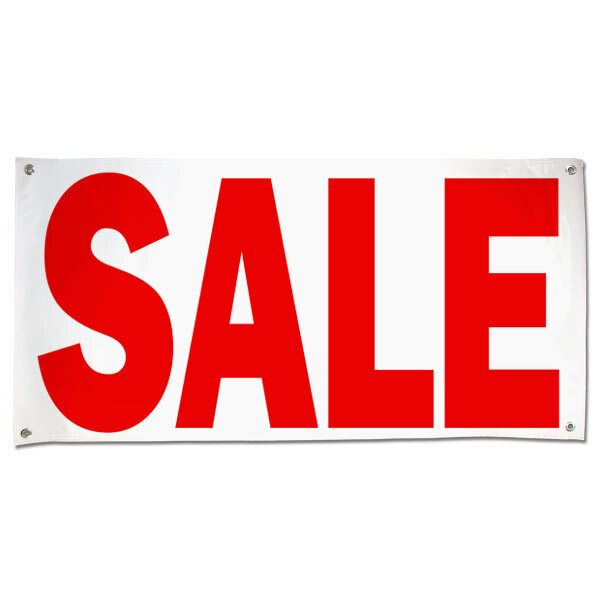 Our Sale banner pairs perfectly with our Open banner as well as our low price banner! Let passersby know that you're not only open but have the best prices in town. You can hang them side by side on your business's exterior and watch the customers stroll in!